This anthology will help children to pray and encourage children in their faith. Structured around the Lord's Prayer, this volume brings together traditional and modern prayers, prayers by children and by famous Christians. 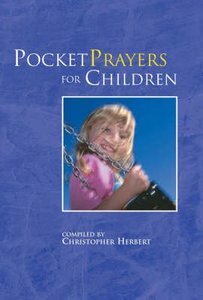 - Publisher Pocket Prayers for Children is an ideal present for anyone who prays with children, to give to children who are starting to pray by themselves or as a baptism or confirmation gift. Using the Lord's Prayer as a base, the book brings together traditional and modern prayers to help inspire children in their faith. About "Pocket Prayers For Children"
Pocket Prayers for Children is an ideal present for anyone who prays with children, to give to children who are starting to pray by themselves or as a baptism or confirmation gift.